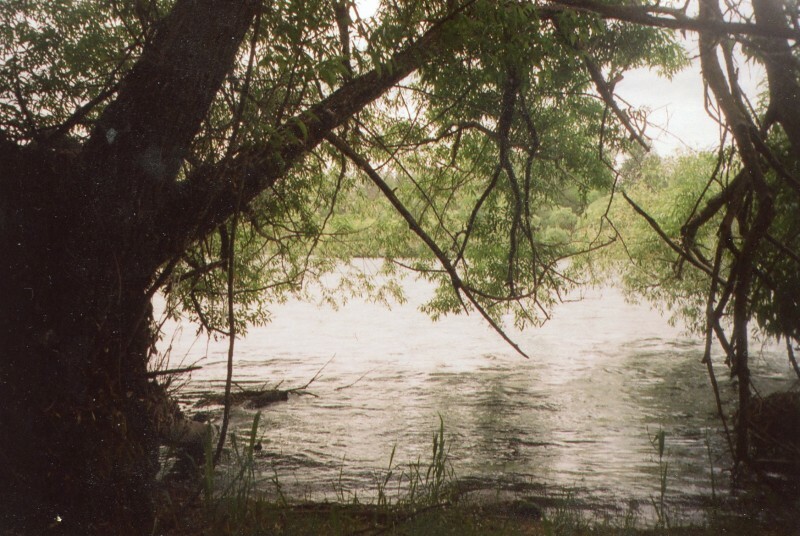 This image shows the banks of the Spokane River, near the place where Spokane House stood at the time of this cannibalism story. This was originally an American Fur Company post, but both the North West Company and the HBC operated out of this post. David Thompson’s older Spokane House stood a few miles upriver. We camped at night below the “Dalles des Morts,” or the Rapid of the Dead, so called from the following circumstance. About twenty-five or thirty years ago, an Iroquois, a half-breed, and a French Canadian, having charge of a boat, had to descend this frightful rapid. Fearful of running it, they affixed a long line to the bow, and being themselves on the shore, they attempted to lower her gradually by means of it down the foaming torrent. The boat took a sheer and ran outside of a rock, and all their efforts to get her back, or reach the rock themselves through the boiling surge, were unavailing. The rope, chafing on the sharp edge of the rock, soon broke, and she dashed down among the whirling eddies, and broke to pieces, with their whole stock of provisions on board. They then continued to follow on foot, along the rugged and difficult banks of the river, without food, guns, or ammunition; nor had they been able to save even a blanket, to protect them from the inclement weather. At night they encamped in a shivering and famishing condition, not having been able to surmount more than three miles of the obstacles that obstructed their passage at every step along the banks. The next day they proceeded with no better success. They well knew that if they constructed a raft it would not live an hour in this part of the Columbia River, owing to the quick succession of rapids that here beset the navigation. In this starving condition they continued their slow progress till the third day, when the half-breed, fearing his companions would kill him for their food, left them, and was never after heard of, falling, in all probability, a prey to the wolves. The other two lay down, and the Iroquois watching his opportunity, got up at night, and beat his companion’s brains out with a stick, and going to work in a methodical manner, after first satisfying his craving hunger with a portion of the body, cut the remainder in thin slices and dried them in the sun, after the manner in which buffalo meat is prepared. Here he remained three days drying his meat, which he made into a pack, and continued his journey with it down the river bank, until he came to the commencement of the Upper Lake, where he made a raft, on which he placed his dried meat, and covered it over with pine-bark, seating himself upon it, and paddling down the lake. He had not proceeded very far, before he met a canoe, which had been sent from one of the forts below, on the Spokan[e] River, in quest of them, owing to their long absence. The new comers immediately inquired what had become of his two companions; he replied, that they had deserted him, giving at the same time an account of the loss of the boat. They took him on board their canoe, and one of the men seeing the bark on the raft, and desirous of getting it to place under him in the canoe, the Iroquois shoved off the raft, with evident signs of confusion, on which the man, who noticed his embarrassment, paddled up to it, and lifting the bark, discovered the dried meat beneath it, among which was a human foot. He was asked how he had obtained the dried meat, and replied, that he had killed a wolf, swimming across the river. The foot with the meat was slyly deposited in a bag belonging to one of the men, but not without the act being perceived by the murderer, who, while they were asleep during the night, threw the bag and its contents into the river. Appearing not to notice its loss, they went on to Fort Spokan, and delivered him up to Mr. McMullan [James McMillan], the person in charge, detailing the particulars. The Indian was shortly afterwards sent to a distant post in New Caledonia both as a punishment, and also in order to get rid of him, as no voyageur will willingly associate with any one known to have eaten human flesh. I had previously traveled several hundreds of miles with the son of this very man, who always behaved well, although there certainly was something repulsive in his appearance, which would have made me dislike to have had him for a companion in a situation such as above described. Hmmm, you could probably identify the culprit by reading Paul Kane’s Wanderings of an Artist, especially if he mentions the names of the men who worked for him. The culprit was Iroquois, who worked in New Caledonia, according to Kane. His son would be Iroquois/Metis. I am finding that I occasionally use Paul Kane’s stories in the stories that I write. However, he was in the Columbia district in 1846-1847, and stories change over time. Also, even the stories that Kane witnessed are not always accurate, in date at least. I believe he wrote his Wanderings of an Artist after he returned to the east, so of course it is a secondary source, as far as fur trade stories go. Still, he does write down the stories that the people who traveled with him told him at the time he was in the district: and he also offers additional information to stories we heard from earlier sources such as Ross Cox and Alexander Ross. I find it interesting that the Metis man abandoned the camp rather than stay and be a victim of suspected/expected cannibalism. The Canadiens looked down on the Metis, considering them savages: which they were, comparatively speaking, having been brought up in Indigenous camps or at fur trade forts. The Iroquois of course looked down on everyone. Considering the circumstances the Metis man probably made the right choice: had he remained he would have been the first to be slaughtered. Another question: I wonder if the Iroquois believed in the Windigo? It was a Cree legend, supposedly, but other Indigenous people took the story into their culture. I wonder if the Iroquois did? It was here that one of the truly tragic incidents of the old trail took place. A young Indian, variously called Charlie or Saul, was camped with the miners. One, a French-Canadian camp cook named Pierre Cherbart, befriended the young man and the two were constant companions. On the night of June 13, 1865, Charlie awakened, and seized by a compelling impulse took his hunting knife and stabbed his friend Cherbart to death. Then he fled into the darkness. At an inquest held by Justice of the Peace William George Cox on June 19, it was established that Charlie was responsible for the death and Cox made preparations to apprehend the moody young man. The Indians had a name for the strange impulse that compelled Charlie to kill his friend — the called it Weetigo (The Devil). A modern psychiatrist might probably have made a diagnosis of paranoid schizophrenia, but the miners called it “murder” and they tracked down the young man and lynched him from the nearest tree. So, the Windigo story made its way into the beliefs of the Indigenous population around Wild Horse Creek, B.C., which is where this story seems to have taken place! Its always fun to follow these stories through our territory West of the Rocky Mountains. 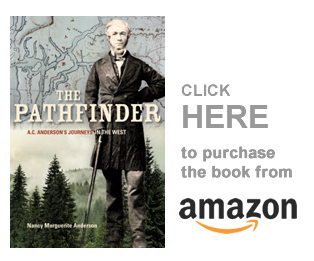 I found another cannibalism story that occurred much later in our history, to Englishmen who were rafting down the Fraser River to take part in the gold rush. There was no Windigo/Wendigo/Wih-tee-coo involved in that story, and so I will not write it down here! But if you want it, I found it in A. G. Morice’s History of the Northern Interior of British Columbia. Copyright, Nancy Marguerite Anderson, 2018. All rights reserved.